Description: The front of this card has self-embossed border designs with an orange scatter base. The overleaf has golden ground and a floral base in light orange. 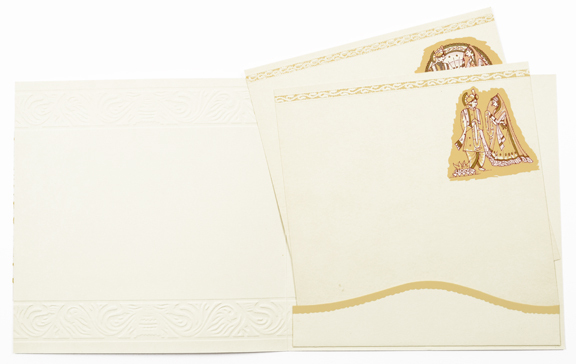 The docket has peach border and the inserts have self-embossed border design with orange base and images of the bride and groom in maroon, gold and peach combination. 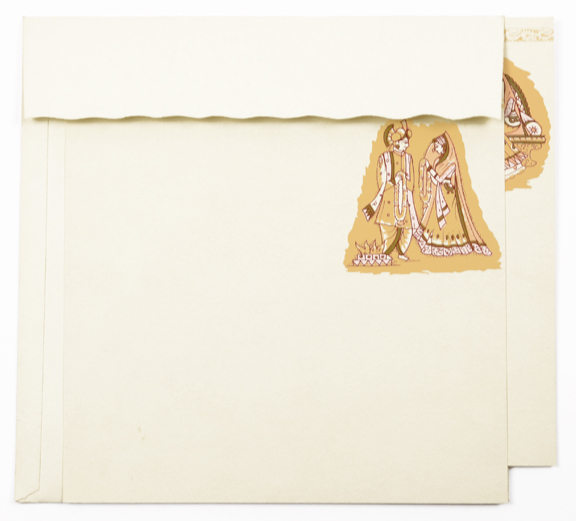 The envelope has border design similar to the front. Got the package. The cards arrived in perfect condition. Thank you for the help and answering all the questions so promptly. We really appreciate it. I have received the package thank you, they are very beatiful! I received them last night. We LOVE the invitations, they are gorgeous and just what she wanted. Thank you so much for the quick service. I really appreciate it. Thank you, I ve received the parcel, and I love the invitations. Thank you very much for everything. 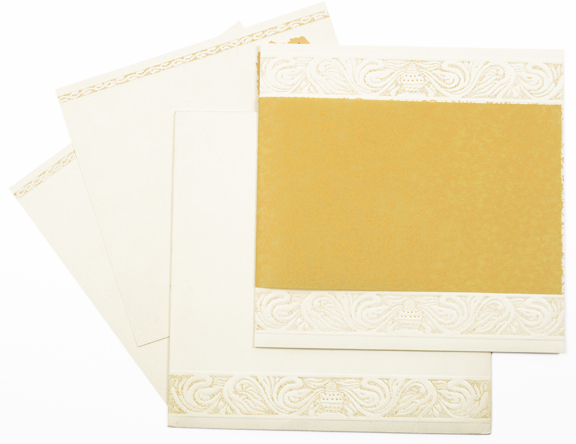 i am very pleased with the order and i am looking forward tohaving your business with my wedding invitations. thank you so much.